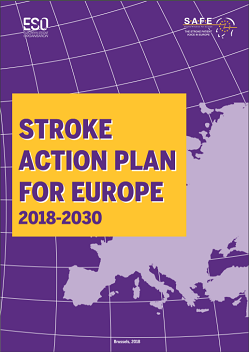 The www.safestroke.eu website is provided by the Stroke Alliance for Europe (SAFE), a non-profit making organisation registered in Belgium (ASBL 0661.651.450) with registered office at Rue Washington 40, Brussels 1050, Belgium. 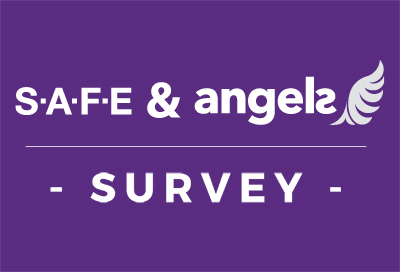 We monitor the activity on the www.safestroke.eu website and capture information from visitors that will help us improve the quality of our service. As you interact with the www.safestroke.eu website we automatically collect the User Information by using cookies (see our Cookies Policy), [server logs], and other similar technologies. 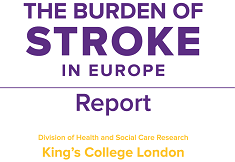 We collect User Information where it is necessary for our legitimate interests in developing the www.safestroke.eu website and your interests and fundamental rights do not override those interests. This information is collected with your consent when you create your online account or by corresponding with us by post, phone, email or otherwise. It is important that the Personal Information we hold about you is accurate and current. Please keep us informed if your Personal Information changes during our relationship with you. if you consent, to notify you of activities, products or services that may be of interest to you (marketing communications). If you no longer wish to receive marketing communications from us you can opt-out by [using the unsubscribe option contained in each marketing communication] or by [emailing ‘unsubscribe’ to mail@safestroke.com at any time]. We will not share your Personal Information with any company for mailing or marketing purposes. You should be aware however that if we are requested by the police or any other regulatory or government authority to provide your Personal Information and/or User Information, we are entitled do so and may be obliged to do so. We do not transfer data outside of the EEA, and will not transfer your Personal Information to countries that have not been deemed to provide an adequate level of protection for personal data by the European Commission. We will only retain your Personal Information for as long as necessary to fulfil the purposes we collected it for, including for the purposes of satisfying any legal, accounting or reporting requirements. To determine the appropriate retention period for Personal Information we consider the amount, nature and sensitivity of the information, the potential risk of harm from unauthorised use or disclosure of your Personal Information and whether we can achieve those purposes though other means. Request access to your Personal Information (commonly known as a ‘data subject access request’). This enables you to receive a copy of the personal information we hold about you and check that we are lawfully processing it. Request correction of incomplete or inaccurate Personal Information we hold about you. Request erasure of your Personal Information. This enables you to ask us to delete or remove your Personal Information when there is no good reason for us continuing to process it. Object to processing of your Personal Information where we are relying on a legitimate interest and there is something about your particular situation which makes you want to object to processing on this ground as you feel it impacts on your fundamental rights and freedoms. You also have the right to object where we are processing your Personal Information for direct marketing purposes. Request restriction of processing of your Personal Information. This enables you to ask us to suspend the processing of your Personal Information in the following scenarios: (a) if you want us to establish the information’s accuracy; (b) where our use of the information is unlawful but you do not want us to erase it; (c) where you need us to hold the data even if we no longer require it as you need it to establish, exercise or defend legal claims; or (d) you have objected to our use of your data but we need to verify whether we have overriding legitimate grounds to use it. Request transfer of your Personal Information to you or to a third party. We will provide to you, or a third party you have chosen, your Personal Information in a structured, commonly used, machine-readable format. Note that this right only applies to automated information which you initially provided consent for us to use or where we used the information to perform a contract with you. Withdraw consent at any time where we are relying on consent to process your Personal Information. However, this will not affect the lawfulness of any processing carried out before you withdraw your consent.